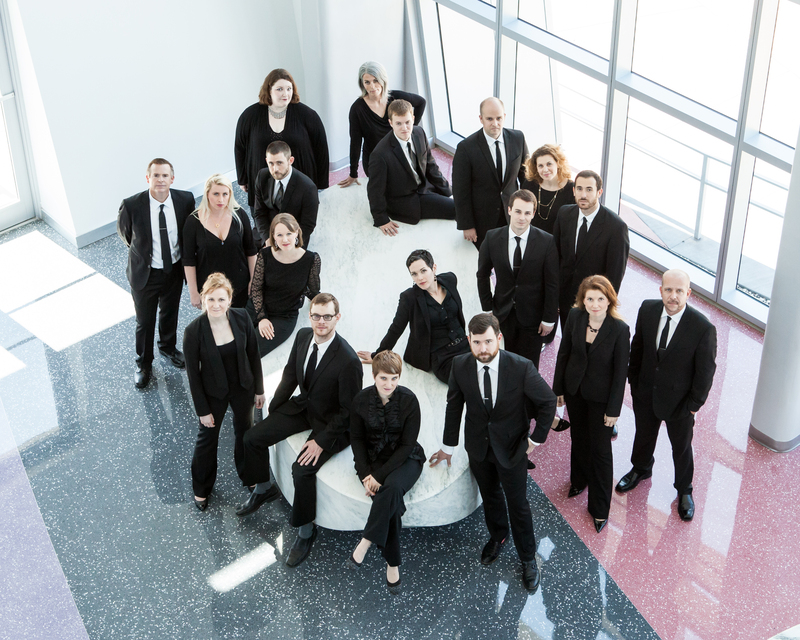 The School of Music is hosting a residency with GRAMMY®-nominated vocal ensemble, Seraphic Fire, April 10 – 11; the residency will culminate in a finale performance, “Barocco: Latin American Baroque“—which will pay tribute to Esteban Salas, Cuba’s first native-born composer of art music—on April 11 at 7:30 p.m. at the Wertheim Performing Arts Center. The residency aims to further familiarize and prepare undergraduate and graduate voice and choral students about working in the growing industry of professional ensemble singing and to learn about life and employment as a vocal artist. FIU students will attend open rehearsals and will also participate in master classes and a lecture and panel discussion on “Becoming a Professional Vocal Artist” led by members of Seraphic Fire. Miami-Dade County Public School choral high school students are invited to attend an Open Rehearsal/Workshop on Wednesday, April 10, from 6 p.m. – 8:30p.m., followed by a meet and greet with Seraphic Fire artists, sponsored by the Kimberly Green Latin American and Caribbean Center U.S. Department of Education Title VI Grant. “This multi-faceted collaboration speaks to the school’s core values of making music accessible and using music to build community and opportunity,” said Karen Fuller, interim director of the School of Music. “Barroco” showcases the rediscovered sounds of Cuba, Bolivia and Peru through ancient music that blends indigenous rhythms and instruments with European traditions. “Barroco” will also feature the world premiere performance of” “Tu, Paz Mia,” written for Seraphic Fire by Cuban-born composer Ileana Perez Velazquez. Praised by the New York Times for her music’s “imaginative strength,” Perez Velazquez has written commissions for Continuum (NYC), Momenta String Quartet (NYC), Ensemble Dal Niente (Chicago), Flux Quartet (NYC), Amernet String Quartet, FIU Artists-in-Residence (Miami), among many others. She is music professor at Williams College. As the first native of Cuba to become a force in Western art music, Salas wove European sacred music with the rhythms and melodies of his native land to create what today is recognized as Cuba’s national compositional style. In addition to the main performance of “Barocco,” the community is invited to a pre-concert conversation at 6:30 p.m.
Tickets are on sale now and may be ordered online at music.fiu.edu/concerts or by calling (305) 348-0496. “Barroco” and the commissioning of “Tu, Paz Mia” have been underwritten by William Jaume.